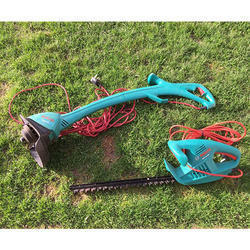 To trim hedge, bushes, shrubs etc. Description:The woody plants grow better when they are regularly trimmed through trimming hedges and shrubs from new shoots and branch out better in addition, neighbouring plants have better growth conditions. 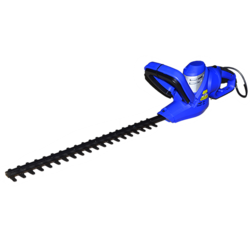 We manufacture and export a wide range of Electric Long-Reach Hedge Trimmer, which is specially designed for maintaining extra-wide, long or high hedges near buildings. The overhead crowns can be trimmed effortlessly and without wasting time. The choice of two shaft lengths made ladders and scaffolding becomes unnecessary. - Ergonomic handle with appropriate switches for horizontal or vertical cutting. - Stainless blade with sharpened corners on both sides.